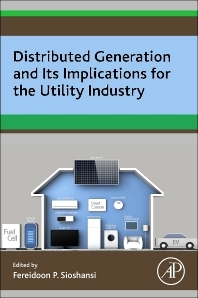 Distributed Generation and its Implications for the Utility Industry examines the current state of the electric supply industry; the upstream and downstream of the meter; the various technological, business, and regulatory strategies; and case studies that look at a number of projects that put new models into practice. A number of powerful trends are beginning to affect the fundamentals of the electric utility business as we know it. Recent developments have led to a fundamental re-thinking of the electric supply industry and its traditional method of measuring consumption on a volumetric basis. These developments include decreasing electricity demand growth; the rising cost of fossil fuels and its impact on electricity costs; investment in energy efficiency; increasing numbers of prosumers who generate for some or all of their own needs; and market reforms. This book examines the implications of these trends in chapters focusing on distributed and decentralized generation, transactive energy, the role of electric vehicles, any much more. Part I: What is Changing? Chapter 1: Decentralized Energy: Is It as Imminent or Serious as Claimed? 2 What Is Behind the Slowing Demand Growth? 5 How Serious a Threat—or Opportunity? 2 What Is Driving the German Decentralized Energy Revolution? Chapter 4: Australia's Million Solar Roofs: Disruption on the Fringes or the Beginning of a New Order? 5 At What Price Generation? 6 At What Price Distribution? 4 How Will an Interoperable Transactive Tariff Work? 5 Will an ITRT Work? Chapter 12: An Expanded Distribution Utility Business Model: Win-Win or Win-Maybe? Chapter 17: Electric Vehicles: New Problem or Distributed Energy Asset? 5 Can Existing Business Models Survive? Chapter 20: What Future for the Grid Operator? 5 Here, There, and Everywhere: A Centralized or Decentralized Future?